Land Pride PD25 Series Post Hole Digger s a good t for heavy-duty applications. Landscapers, contractors, ranchers, and other land owners will appreciate the rugged dependability and the quality construction – these PDs will take a beating and last for years. 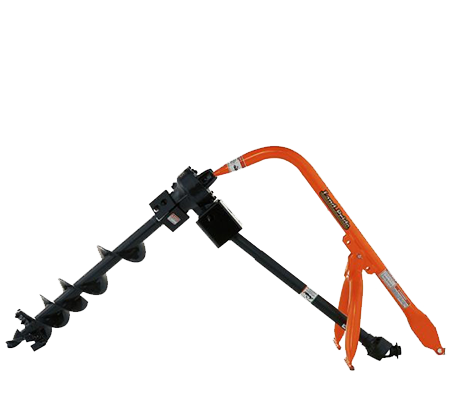 Both are designed for Category 1 or 2 three-point attachment, o er a 48″ auger length, and a choice of 6″, 9″, 12″, 15″, 18″ or 24″ auger flights with cast steel fishtail tips.